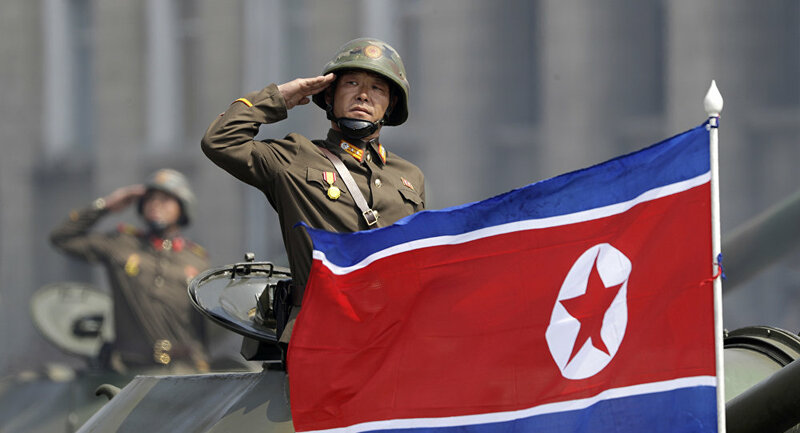 The "step-by-step" disarmament of North Korea should be gradual and should be accompanied by measures that would build trust, the head of North Korea's Foreign Ministry said. "Our position dictates that the denuclearization of the Korean peninsula should be implemented in combination with the settlement of peace in accordance with the principle of simultaneous gradual steps, beginning with the things that we can do by giving priority to the measures that would build trust," the head of North Korea's Foreign Ministry, Ri Yong-ho, said during his speech at United Nations General Assembly. The official also stressed in his speech that the sanctions that the United States was imposing on North Korea would only augment distrust of the US instead of bringing the Asian state to its knees. "The US insists on the principle of ‘denuclearization first' and increases the level of pressure to achieve its goal by coercion… The notion that sanctions will bring [us] to the knees is a constant dream of people who know nothing about us. The problem is that the continuation of sanctions increases our distrust," Ri said. He emphasized that North Korea did not see reciprocal steps from the United States to moves of Pyongyang taken in the spirit of goodwill. "We do not see any corresponding steps from the United States. On the contrary, instead of sharing the concern about the lack of peaceful regime on the Korean Peninsula, the US insists that we [should] first carry out denuclearization, and increases pressure through sanctions," the minister said. Earlier this week, US Secretary of State Mike Pompeo said that peace on the Korean peninsula was only attainable through diplomacy and denuclearization. On Wednesday, the US State Department announced that Pompeo has accepted an invitation to visit Pyongyang next month that was extended to him by North Korea's Foreign Minister Ri Yong-ho during a meeting in New York. On June 12, US President Donald Trump and Kim held their first official summit in Singapore. Upon the conclusion of the talks, the two countries signed a bilateral agreement outlining their joint commitment to work toward the denuclearization of the Korean peninsula. However, the agreement did not specify steps or deadlines as to when would denuclearization be achieved.